EK Water Blocks, the market leader in high-end liquid cooling for PC products, is releasing an updated version of their multiport glass reservoir, the EK-RES X4 250 R(2.0). 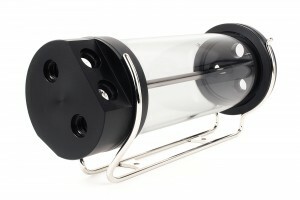 EK-RES X4 (R2.0) is a large high-quality standalone cylindrical reservoir. 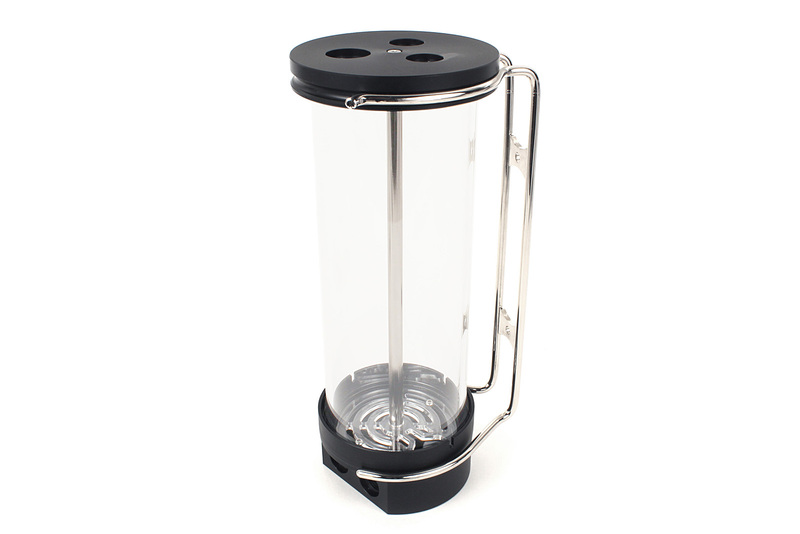 The first major distinction from the RES X3 is its sheer size with 250mm in height and the use of 80mm wide borosilicate glass tube. 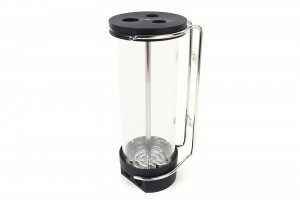 This provides a vast volume which allows the reservoir to hold up to 0.8 liters of liquid. 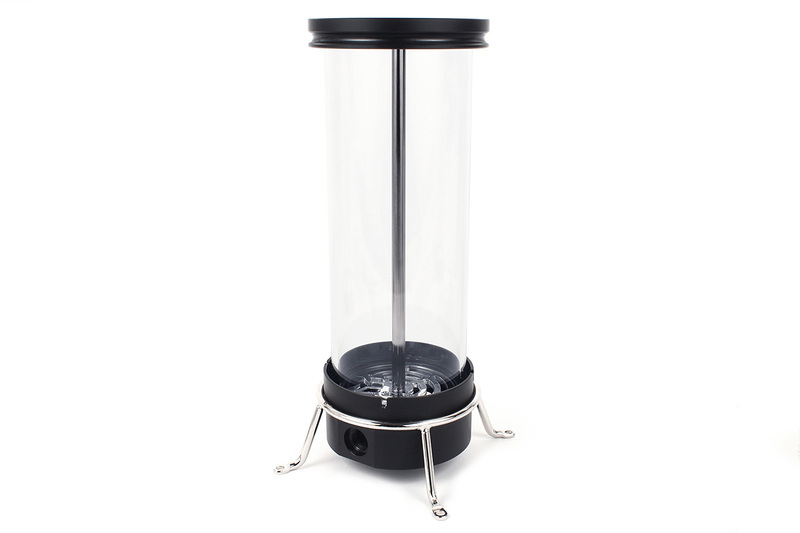 This updated (R2.0) version of the EK-RES X4 features a nickel plated brass pillar that holds the top and bottom part of the reservoir together and it has a new redesigned anti-vortex insert. It can be disassembled much more easily as its predecessor with the enclosed Allen key. Bottom and top ports of the reservoir. The EK-RES X4 (R2.0) is packed with multiple ports, it features a total of 8 ports! 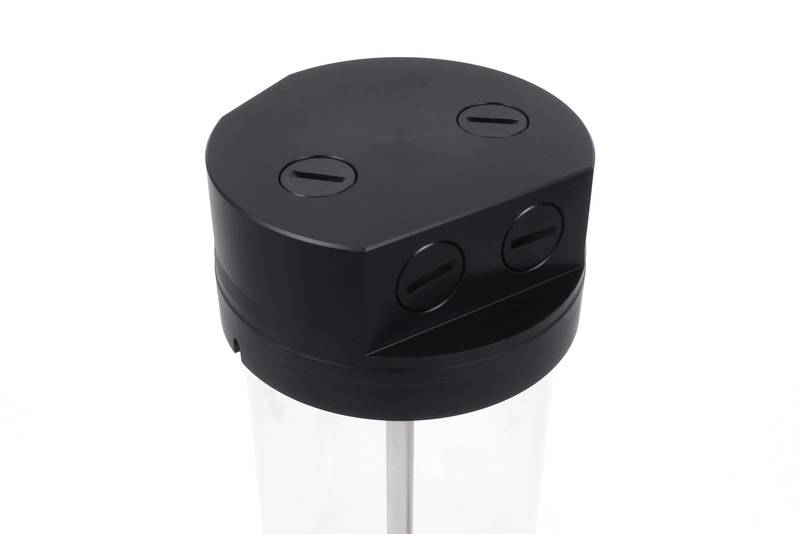 The top has two G1/4″ threaded ports and one 3/8″ threaded port, which is intended as a fill port. The bottom features no more than five G1/4″ threaded ports – you will be able to really find the perfect orientation and port configuration! 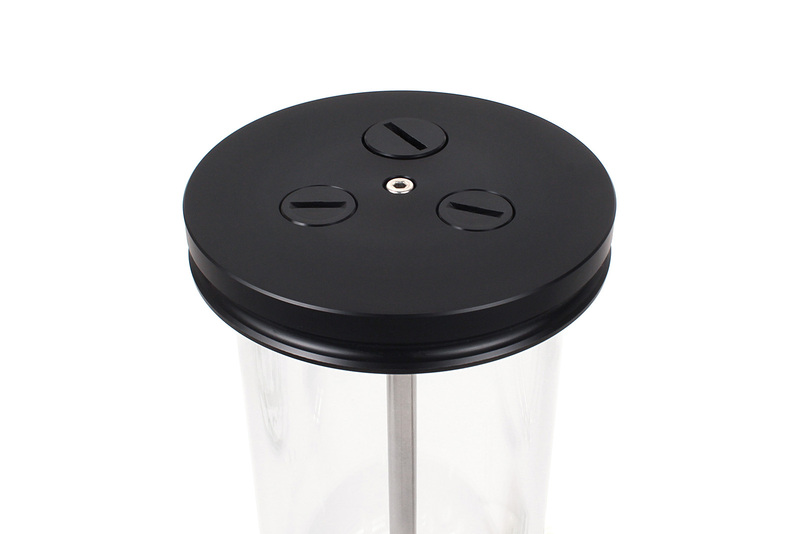 There are two front-facing ports, two at the bottom and one on the rear that can be perfect for a drain port, with or without an added ball valve. 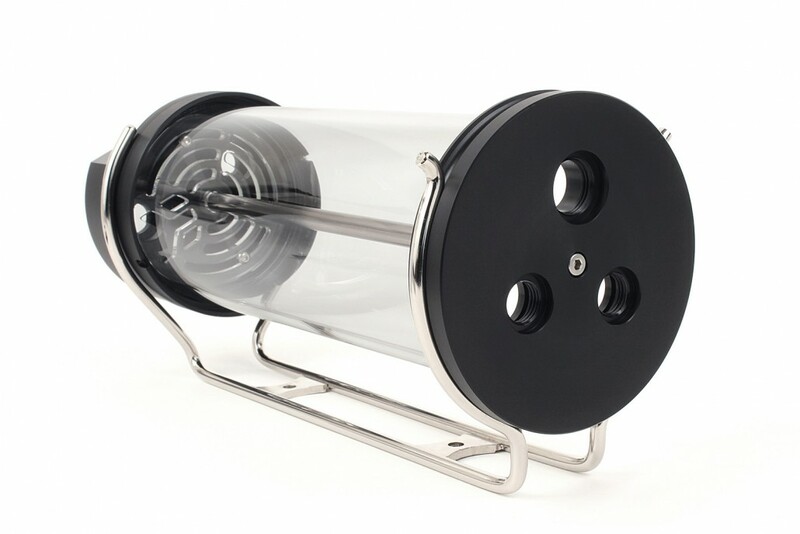 The reservoir is delivered with two mounting options, pair of 150mm EK-HD Tubes, black plugs, necessary mounting screws, nuts, washers, and a white Bright Light LED strip. The EK-RES X4 (R2.0) stand alone reservoir is already available for purchase through EK Webshop and Partner Reseller Network. In the table below you can find the MSR price with VAT included.